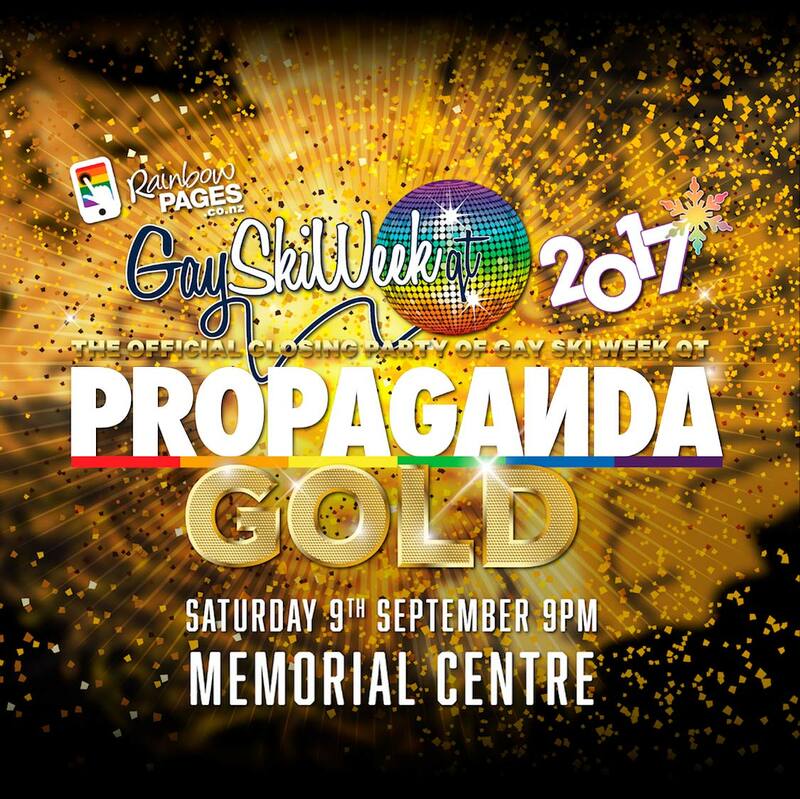 PROPAGANDA, Auckland’s hottest gay dance party, pops its South Island cherry as the official closing party of Gay Ski Week QT! It is Theta Project’s first time on tour and the first Propaganda party with a theme: GOLD! Theta Project are bringing their top production team, NZ’s top VJ, incredible graphics, unreal sound system, several shows and of course only the best music. DJ Adam Love (AUS) kicks off the night at PROPAGANDA GOLD. Adam is one of Australia’s top DJs and has headlined parties and clubs throughout Australia including the globally famous Sydney Mardi Gras Party. Adam was the first international DJ booked at the original Propaganda party in 2013 so it’s the perfect fit to have him spin at the first Propaganda party in Queenstown. DJ Jordan Eskra (NZ), one of New Zealand’s favourite gay DJs, will close the night. His crowd-pleasing mixes have filled dance floors at LGBT parties and nightclubs up and down the country. He has played all of the biggest gay events in New Zealand and we can’t wait for his return to Queenstown to play at this year’s closing party. Start planning your glittery gold, ghetto gold, tacky gold and gold outfits, and get out your gold… member?! You do not want to miss this epic closing party! Gay Ski Week Queenstown runs from September 2 – 9, 2017.